Skilled directors, who are are high school varsity and club coaches, along with current and former college players and commits, will hone skills through fun drills and games. We offer Star Field Hockey at two locations: Georgetown Visitation in Washington, DC and St. Andrew's School in Potomac, MD. 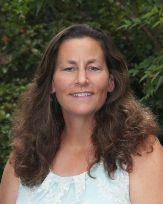 The camp at Visitation is directed by Jane DeGrenier, the head varsity field hockey coach at National Cathedral School. St. Andrew's camp is directed by Cay Miller, head varsity field hockey coach at Churchill High School. For rising 4th-9th graders and players of all ability levels, we focus on fundamental skills and the tactical offensive and defensive understanding of the sport through fun drills, games, and scrimmages. We also offer a preseason prep camp for rising 7th through 12th graders at Georgetown Visitation. This camp will focus on getting players ready for their school team tryouts. We have a low student-to-instructor ratio and group players by ability levels. To register, click on the camp date and time at your desired location. Complete the enrollment form and pay instantly online. Daily registration is accepted; please call the office for details. If your child falls outside of the grade range, but would still like to attend camp, contact our office for approval before registering. Field hockey campers need a stick, mouth guard, eye goggles, and cleats.